Heath Hatton had been a fighting champion ever since defeating “Ironman” Ken Kasa on July 26th in East Carondelet, Illinois. 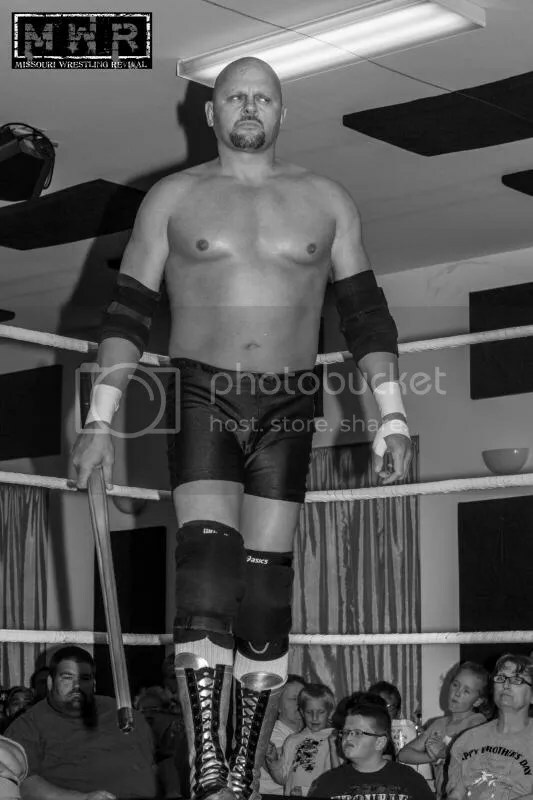 Since then, he had been hunted by many of the toughest men in the Midwest today, including the “The King of Chaos” Ricky Cruz, Ken Kasa, and Bull Bronson. Yet, it would be a man who had been relentless in his pursuit of the SICW title: Flash Flanagan. Flanagan has a long history of calculated violence in his career. He made his way from Puerto Rico to WWE, earning a reputation as a bulldozer known to strike fear in fans and opponents. The first piece of business was getting under the skin of champion Hatton when he targeted Hatton’s protégé “The Man of Tomorrow” Daniel Eads. Flanagan dished out a brutal beating on the rising young star during a match that brought out the champion to make the save. That set up a title match in Fairmont City where Flanagan nearly cheated his way to victory, but the decision was reversed and Hatton was able to fight another day as champ. After a successful title defense back in East Carondelet, Illinois against Travis Cook’s bodyguard Bull Bronson, Hatton again was staring across the ring at Flanagan on the cold November night. Early and often in the match, the challenger Flanagan worked on Hatton’s arm. Just when it looked as if Hatton was about to take over, one minor mistake lead to pain for the champ; Hatton accidentally took out the ref with a blind crossbody off the second rope. Hatton locked in the crossface on Flanagan , but the ref was still down and didn’t see the tapout. When Hatton attempted to revive the referee, Flanagan struck with a superkick and then a ruthless blow to the head via his kendo stick. Flanagan thought he had won the belt, before Hatton kicked out. When Flanagan attempted to use a steel chair, Hatton was a step ahead and reversed an Irish whip into the chair, then attempted a rollup to end the match. Flanagan blocked it, sat down on the shoulders, and held onto the ropes to end the reign of Heath Hatton as the Classic Wrestling Champion. 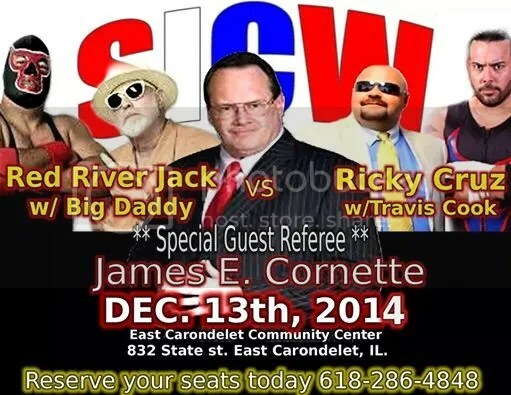 Legendary wrestling manager Jim Cornette returns as a guest referee Saturday, December 13th in East Carondelet for a No Disqualification Match. 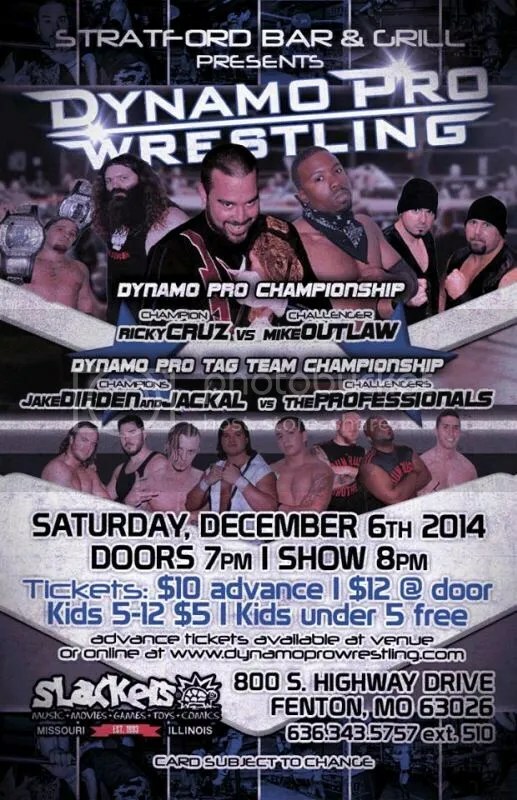 There will be a winner when Red River Jack (with Big Daddy) faces “The King of Chaos” Ricky Cruz (with Travis Cook). 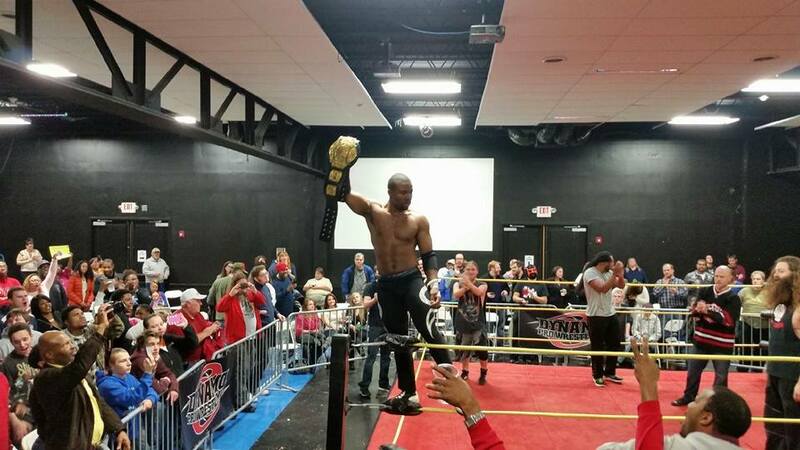 On December 13th, “Volatile” Curtis Wylde (with Wyldefyre) will make his debut with SICW Wrestling Explosion. 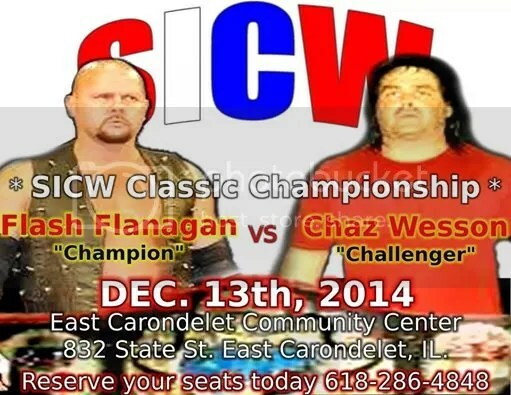 Classic Wrestling Champion Flash Flanagan defends his title against the “Old School Warrior” Chaz Wesson. Also, Gary Jackson will match against Mohamad Ali Vaez. Sean Vincent will appear for the first time in two years. 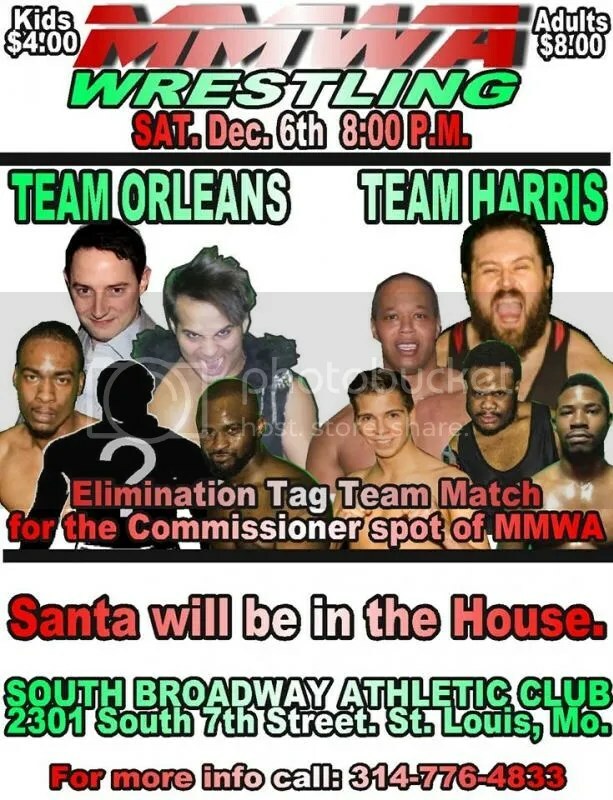 Elimination Tag at South Broadway! Will Harris or Orleans be Commish after Dec. 6? 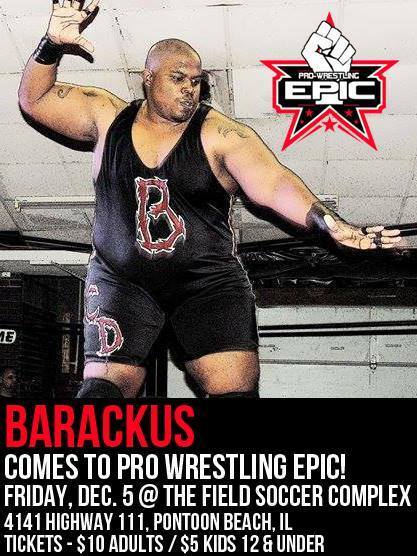 Pro Wrestling Epic debuts in Greater St. Louis at The Field Soccer Complex in Pontoon Beach, Ill.
Tickets are $10 for adults and $5 for children 12 and under. Kids 5 and under are free. There are only 100 chairs available; the rest are bleachers. For advance tickets or to reserve seating, call (618) 806-4656 or though PayPal: sherytakamadulski@yahoo.com. Doors at 7:30. Bell at 8. 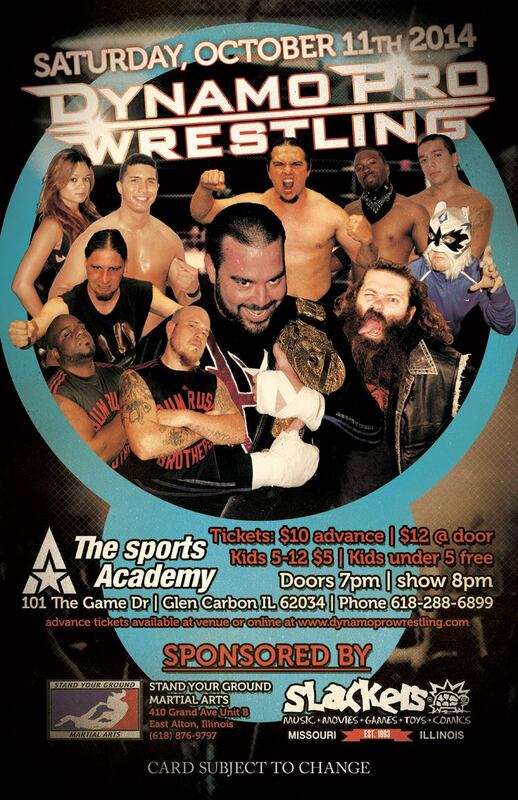 Never before have the MMWA, SICW, and Dynamo Pro all held events (as separate promotions) on the same night. This Saturday, October 11, you have a tough choice. 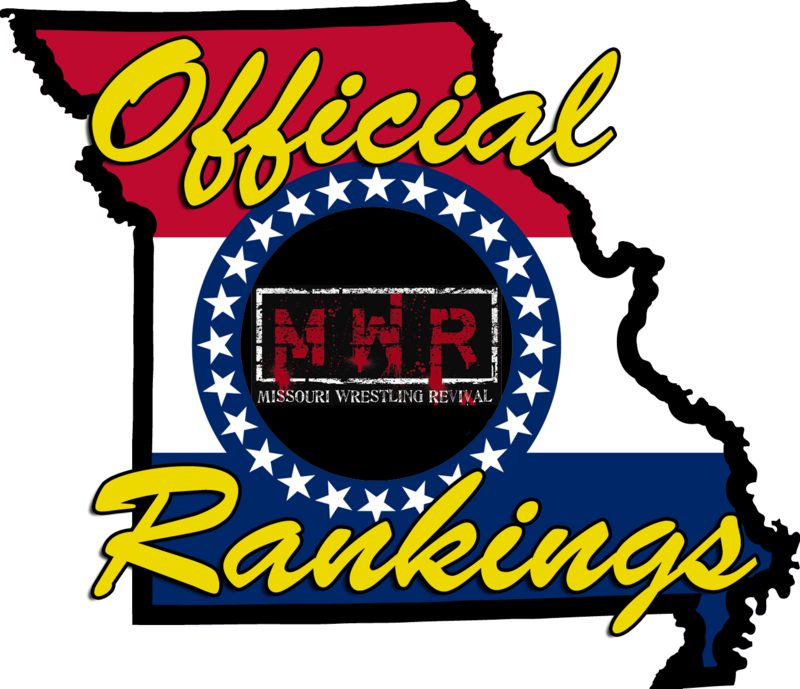 The MMWA card has already been posted. Here is information on the other two. 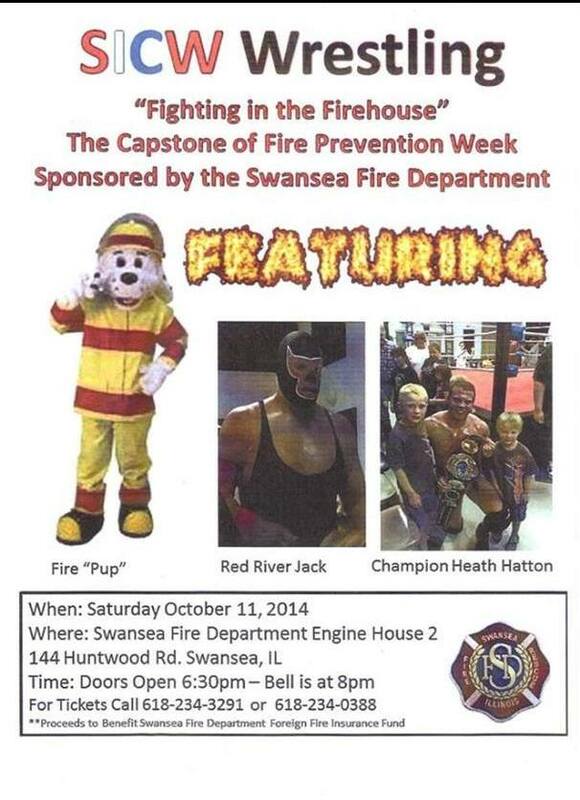 “Fighting at the Firehouse” is at the Swansea Village Fire Department. 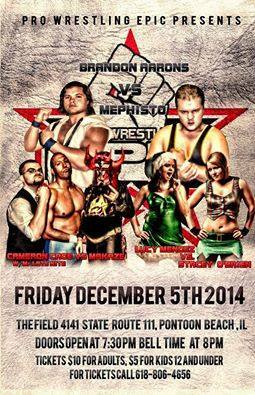 It features Heath Hatton’s fourth Classic Wrestling Championship defense against huge Bull Bronson. 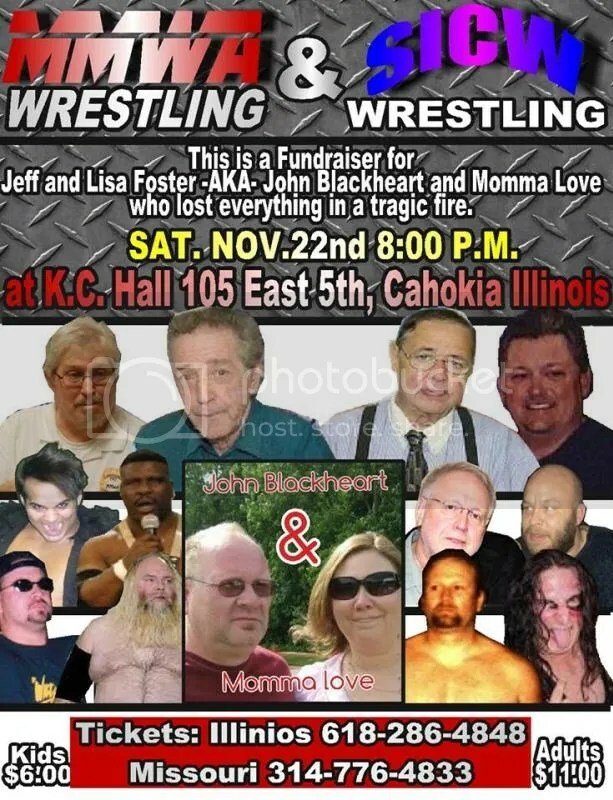 Also, Gary Jackson vs. Ricky Cruz, Big Jim Hoffarth vs. Waco, and a tag match with Daniel Eads & Shiloh Jonze vs. Ken Kasa & Flash Flanagan. Bell at 8pm. For advance tickets, call (618) 344-1781. Dynamo Pro’s final stop of the season to the Sports Academy pits Mark Bland’s team (Team Dynamo) against Travis Cook’s boys in a ten-man elimination tag. It’s Outtkast, Shorty Biggs, Jack Gamble, Jon Webb, and Billy McNeil vs. Ken Kasa, Michael Magnuson, Dave DeLorean, Shawn Santel, and Mauler McDarby. 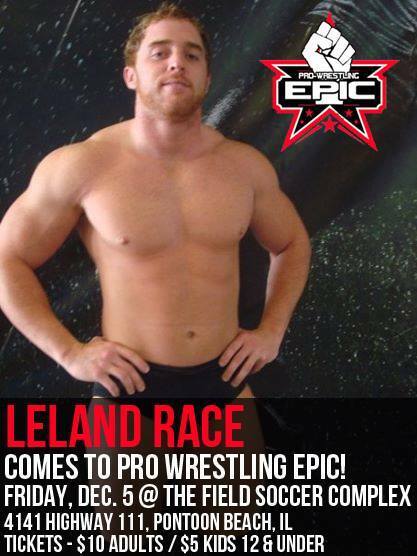 Also on the card, Michael Elgin faces Jeremy Wyatt in one of Elgin’s first matches back in the country.